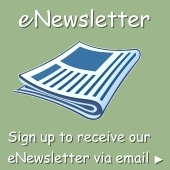 SW Florida Beaches | Bonita Springs, Estero, Naples, Fort Myers Beach FL Real Estate | Marie Pimm PA Realtor. Representing U.S. and International Buyers and Sellers in the purchase and sale of investment or personal property. Marie is a skilled 1031 Exchange Realtor. It’s well-known that the Gulf beaches of Southwest Florida are some of the loveliest in the U.S.
Southwest Florida’s soft white sandy beaches on the Gulf of Mexico beckon visitors from all over the world, and the warm, turquoise waves crest gently against shell-laden beaches where there is always room to set out your chairs and umbrellas and get comfortable. 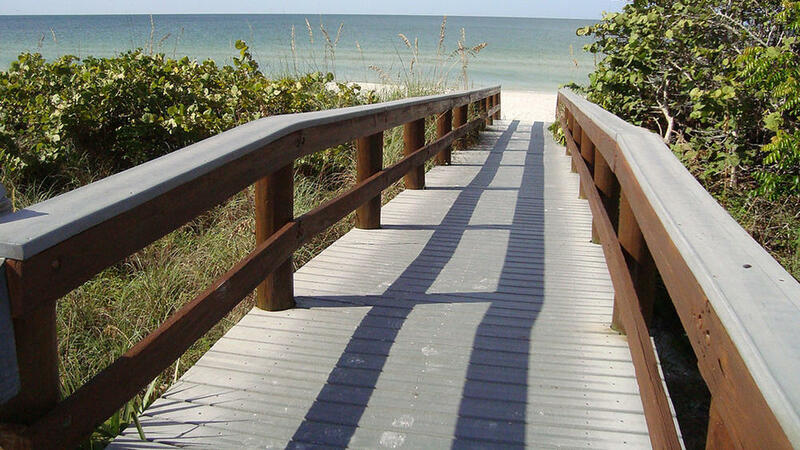 Bonita Public Beach on Hickory Blvd at Bonita Beach Rd, has a large variety of recreational features. Here you’ll find sheltered picnic tables, showers, boardwalks, handicap access, lifeguards, a food stand, and a sailboat concession as well as other watersports rentals. There are several places to eat in the vicinity. The popular Doc´s Beach House is adjacent to the parking area. Bonita Beach Road also has a series of ten small parking areas scattered at random throughout the residential areas along Hickory Blvd. For more information call: 239-338-3300. Bonita Beach Access #1 is located north of Bonita Beach Park. (27890 Hickory Blvd). There is a restaurant situated between the two parks. Although there are no restrooms at this facility, you will find that they are conveniently located at Bonita Beach Park. There are 3 shelters, picnic tables and grills for public use. Fee Parking and Lee County Parking pass accepted at this access. Bonita Beach Access #10 is in an isolated location just off Little Hickory Island (26082 Hickory Blvd) with public restrooms and a great view of the gulf. Handicap parking available. Parking fee $1.00 per hour. Lee County Parking Pass accepted at this access. 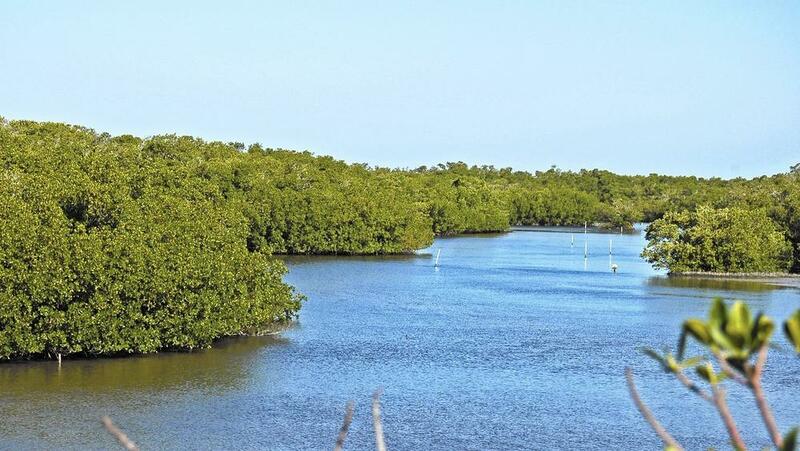 Located at the south end of Bonita Beach, Barefoot Beach Preserve is 342 acres of natural land, one of the last undeveloped barrier islands on Florida’s southwest coast. The preserve contains a coastal hammock, 8,200 feet of Gopher Tortoise beachfront and low sand dunes, and is home to numerous animal species including the land-dwelling, protected gopher tortoise. Take Bonita Beach Road west from US 41 to the guardhouse on the left at Lely Beach Blvd (just before Bonita Beach Road curves to the right and becomes Hickory Blvd). Enter through the security gates and continue two miles past private houses. Facilities include changing rooms, showers, restrooms and a snack bar. Also included are nature interpretation stations, and kayak tours through the back bay arranged by the Park Service. There is a small fee for entrance to the beach. For more information call: 239-353-0404. There are more than 30 beach access points marked with colorful beach access signs offering entry onto developed, as well as secluded, pristine stretches of shoreline. Many are near restaurants and cafes. Parking is $1 per hour. Directions: Small, white fabric signs, on poles along Estero Blvd. denote the location and amenities, if any, of the access points. Bowditch Point is a 17-acre park created on pre-historic Calusa Indian mounds at the north end of the island, with frontage on the Gulf and Estero Bay. Parking is for the handicapped and county vehicles, but a regular trolley picks up passengers from Lynn Hall Memorial Park and the parking lot on the other side of the Matanzas Pass Sky Bridge on San Carlos Island. Small daily parking fee charged. Facilities include showers, restrooms, changing rooms, covered picnic tables, grills and nature trails. For more information call: 239-432-2000. Lynn Hall Memorial Park is to the north at the foot of the Matanzas Pass Sky Bridge. The park offers covered picnic tables, grills, restrooms, showers and a playground. A free fishing pier with a bait shop is nearby, in addition to the Times Square pedestrian area with shops and outdoor restaurants. There is also an information kiosk on the local wildlife and a sheriff´s department substation. There are over one hundred, first come first serve, park, pay & display parking spaces available within the park, and time is sold in increments of one hour up to the maximum time allowed, no partial hours. Maximum vehicle length 20 feet, no trailer parking permitted.Parking is available. For more information call: 239-338-3300. Lovers´ Key and the Carl E Johnson State Recreation Area have been combined into a single state park. 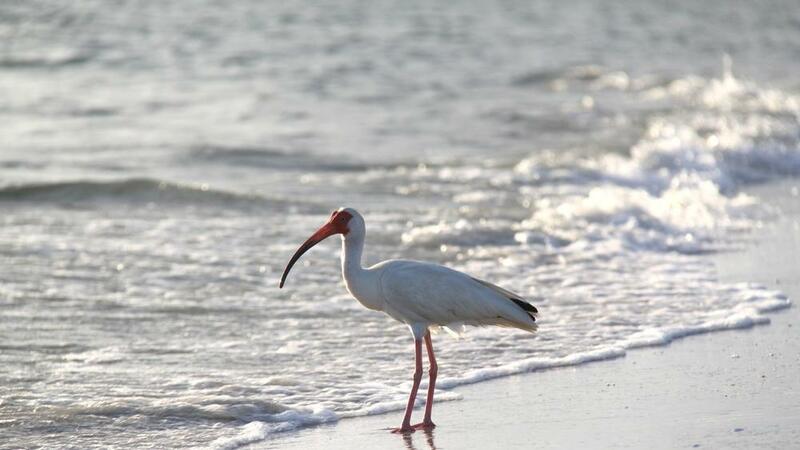 These pristineLover’s Key state park barrier islands, located between Fort Myers Beach and Bonita Beach, combine for more than 700 acres of estuaries and wetlands and two miles of beachfront. The sole entrance is at Lovers´ Key; a tram is available to take patrons to the beach. Parking is plentiful; small daily parking fee. The park features picnic and wedding pavilions, a concession stand, an expanded parking lot and a 700 foot bridge linking the two barrier islands. Canoe, kayak and bicycle concessions are available. For more information call: 239-463-4588. Dog Beach Park allows dogs to roam free in a beautiful beach setting. No restroom facilities or running water (be sure to take your own). Open Dog beach sunrise to sunset. Parking is free. Directions: Take I-75 to Exit 116 (Bonita Beach Rd W) stay on Bonita Beach Rd. to Hickory Blvd. North to Estero Blvd. (pass the Bonita Springs water tower) to over next bridge on left. From Ft Myers Beach – take Estero Blvd south to pass Lovers Key State Park – Dog Beach on west side of road. This 715 acre facility is a natural tidal wetlands area located on San Carlos Bay. This pristine, completely natural area consist of sandy beach, mangrove forest, and salt flat communities, ideal for wildlife viewing. Directions: Take Summerlin Rd. west toward Sanibel and turn left onto John Morris Rd. Follow it to the end. Clam Pass Recreational Area is a county park near The Registry Resort on Seagate Drive. A shuttle transports visitors Clam Pass, Naples, FLfrom the free parking area over a three-fourths-mile boardwalk to the sandy beach. The shuttle runs daily from 8:00am to sunset. Chairs, cabanas and watersport items may be rented from a beach concession beginning at 7:00am. Restrooms and foot showers are available. Clam Pass was named #20 in Condé Nast Traveler´s 1996 list of top beaches in the country. For more information call: 239-353-0404. This park is at the western end of Vanderbilt Beach Road. A parking lot is available off of Vanderbilt Road on the south side of the street. Vanderbilt beach is located near several hotels; concessions and water sport rentals are available. The Vanderbilt Inn’s outdoor Chickee bar is open to the public and is located about 1 mile north of the beach parking area. The Naples City beach stretches 6 miles from Gordon Pass on the south side to Doctors Pass on the north side. 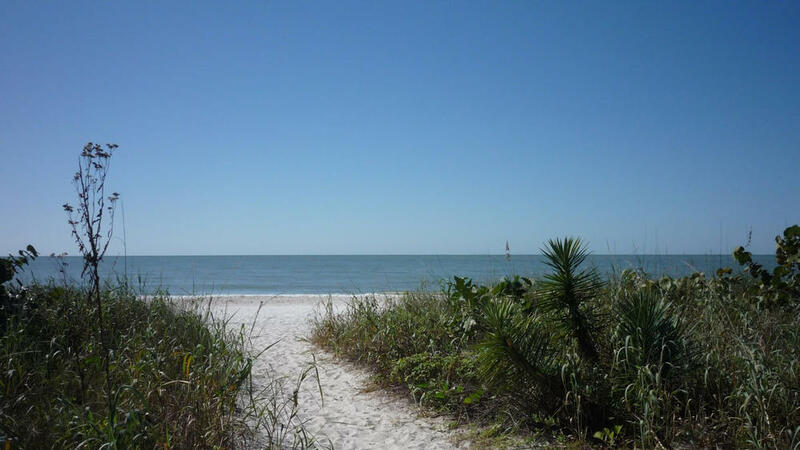 Naples City beach is easily accessible. Parking for the beach is available at the western end of most residential streets between Naples Pier at Sunset Naples Beach, Fl7th Avenue North and 19th Avenue South (26 blocks of parking). Many of the access points also have an outdoor shower available for rinsing. The Naples Fishing Pier is located at the west end of 12th Avenue South where plenty of parking is also available. The Pier is near the midway point of the Naples Beach where you can walk 3 miles south to Gordon Pass, or 3 miles north to Doctors Pass. The area on and around the pier usually has interesting activity and a refreshment stand sits on the pier. Pelicans are regular visitors there and you can find them begging for leftovers from the fisherman. Dolphins, schools of stingrays and fish can also be seen from the pier. Located at the northern end of the Naples City Beach, this beach is just off of Gulf Shore Blvd. The landscaped area next to the beach has a playground facility, pavilion, bathhouse and a concession stand. The beach is a very short walk from the parking area. Nearby sandwich shops and restaurants provides easy access to a wide variety of eateries. Nestled at the north end of Naples at the intersection of Route 846 and Gulf Shore Drive North. One of the most popular seashore destinations in Naples, this park’s mile-long stretch of white sugar sand has been rated as one of the best beaches in the nation. The beach is popular for sunbathing, swimming, beachcombing, snorkeling, and picnicking. Fishing at the beach along Wiggins Pass, where swimming is not allowed, is another popular activity. For saltwater or Delnor-Wiggins freshwater fishing, boaters can launch their vessels into Water Turkey Bay and travel to the Gulf or up the Cocohatchee River. Kayakers can enjoy paddling through estuaries; scuba divers can explore the hard bottom reef in the Gulf. At the north end of the island, a tower gives visitors a bird’s-eye view of Wiggins Pass and the surrounding coastal habitat. Facilities include grills, picnic tables, restrooms with wheelchair access, outdoor showers, changing rooms, five large parking areas and a covered pavilion that is available for rent. Small fee for use of the boat ramp. Park rangers conduct general nature programs in the winter and sea turtle programs in the summer. Beachgoers are cautioned against swimming in areas with swiftly moving currents. NOTE: To avoid overcrowding during the busy winter season, the park closes its gates when it reaches maximum capacity. Located in North Naples five miles west of I-75-exit 111.